Driving around Alfred Cove, you'll see just some of the 1.5 million Australian homes that have now installed roof-top solar power. Energy independence and lower utility bills are on top of mind and we’ve seen enquiries for batteries going through the roof. But battery prices are still prohibitive with no encouragement from the Government. The graph below shows typical electricity generation from Solar Photovoltaic (PV) systems (yellow) in Alfred Cove over the course of a year. A traditional solar hot water system still needs to draw on a power-hungry booster for a short period of time (green) during the winter months. Alfred Cove averages around 265 days of sunshine each year - more than anywhere else in Australia - which is great news for solar power during warmer months… but what about the other 100 days? You may have seen our vehicles and plumbers driving around our suburb of Alfred Cove. We don't just install heat pumps; our other specialist areas include traditional solar hot water, evaporative air cooling and other general plumbing services. 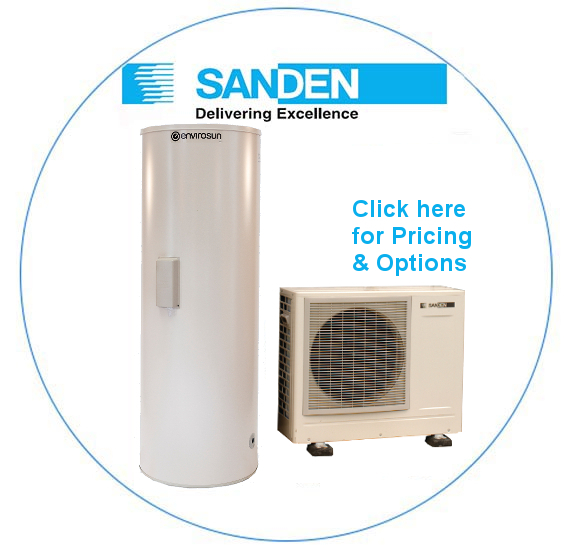 As the Sanden Eco® Plus Hot Water Heat Pump System uses R744 (CO2) refrigerant technology, the amount of electrical energy required to heat the water is significantly less than that required by a conventional electric hot water system found in Alfred Cove. So if you are looking to reduce your energy spend on hot water then a heat pump from Perth Heat Pumps is definitely a smart decision. You can order online direct from our site for delivery and installation of your heat pump system to Alfred Cove. 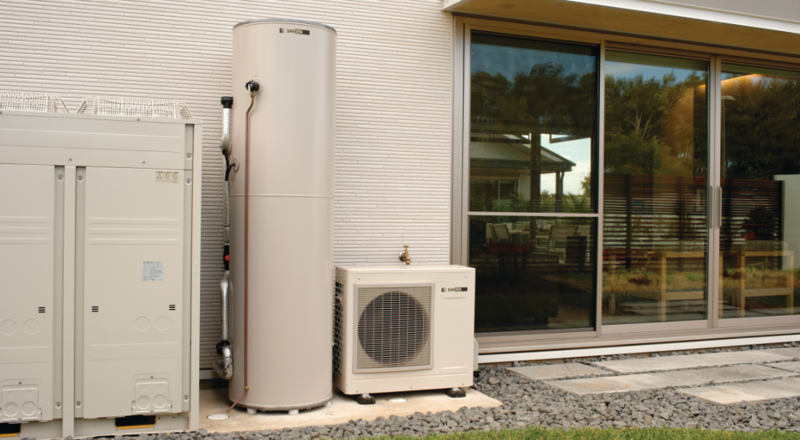 Whether you decide on a heat pump system or a solar hot water system for your Alfred Cove home, know that both will save you significant amount of money versus an electric and gas hot water system.